We have put together a list of mosquito facts to ensure you know your stuff before you go travelling to malaria risk areas. All mosquitoes feed mainly on plant nectar and fruit for nourishment; however, the female mosquito requires protein from the blood to grow their eggs. Mosquitoes are commonly found around water due to their eggs requiring water in order to develop. This normally means that standing water can quickly become a breeding ground for mosquitoes. Any kind of water, from stagnant rainwater to wastewater, will suffice. As long as the area is not disturbed for a few weeks, the female mosquito can deposit their eggs, usually in batches of 50 to 100 in tiny clumps on the surface of the water. Even though female mosquitoes ‘bite’ your skin, they don’t have any teeth. They use a part of their body called proboscis which pierces the skin and helps to extract the blood from your body. Similar to how a syringe works. The proboscis also features many sharp edges located on the tip to help cut through the skin, which gives the feeling of a ‘bite’ for the recipient. The female mosquito can live up to six to eight weeks in ideal conditions, with eggs being laid roughly every three days. However, the male mosquito has a shorter lifespan, of usually around 10 days or less. With the proboscis drawing blood out of the body, another pumps mosquito saliva into the body. This saliva acts as a mild painkiller. Most people that are bitten by mosquitoes have a minor allergic reaction, which causes the area around the bite to swell and itch. Mosquitoes use heat sensors around their mouths to detect the warmer parts of your body; they are then able to locate the best capillaries for feeding. Your skin produces hundreds of chemical odours, the mosquito is particularly fond of the octanol chemical which is released when you sweat. Other smells, such as skin lotions, perfume and certain bacteria also attract mosquitoes. 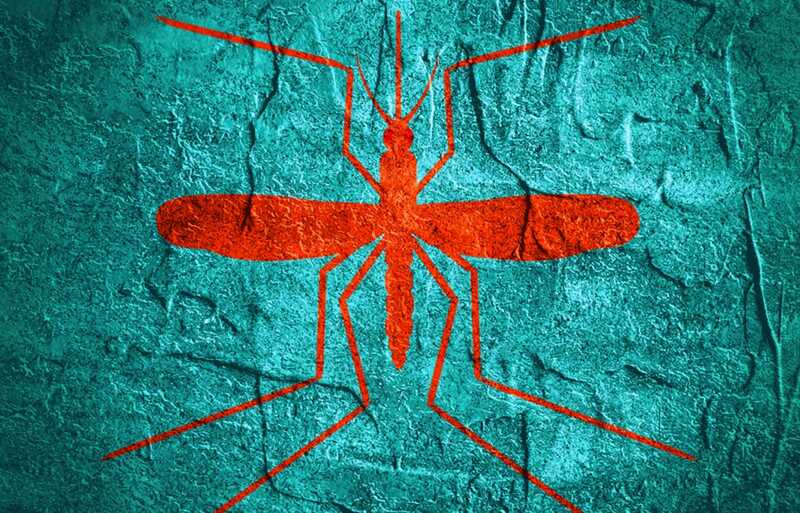 There are more than 3,500 different species of mosquitoes located all over the world and are thought to have existed since the Jurassic period, which makes the species around 210million years old. Standing water is essential for the eggs to hatch into larvae. They feed on the organic matter in the water and manage to breathe oxygen from the surface. They then develop into pupae, which are encased in cocoons, therefore, they do not feed. Several days in this state, the pupae evolve into adult mosquitoes. The virus that causes AIDS does not replicate within mosquitoes. They are able to break down the virus within their stomachs so it is not passed on from any bites. HIV particles are digested, alongside the blood meal, and are completely destroyed and the virus has no way of replicating or migrating to the mosquito’s salivary glands. Malaria is transmitted to humans by the female mosquito and is caused by the Plasmodium parasite. There are many different types of the parasite, however only a few cause malaria in humans. The parasite is spread by Anopheles mosquitoes, which most commonly bite between dusk and dawn. If a mosquito bites a person already infected with malaria, it can also become infected and spread the parasite on to other people. However, malaria can’t be spread directly from person to person.